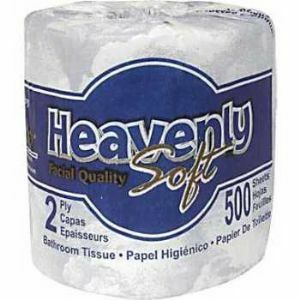 Are There Restrooms In Heaven? Sometimes it’s hard to make sense of what’s ahead—what it’ll be like in heaven. After all, the Bible does say that our glorious future life is beyond anything we can imagine. We can’t even imagine how good it will be. With my imagination, I can think of a lot of A+ situations we could find ourselves in when we finally reach our heavenly goal. Yet no matter how good I imagine it could be, it’s better than anything I can think of! That’s amazing. We certainly won’t be sitting around on clouds playing harps. So with all my “imagination” I have some questions. For instance, what age will we be in heaven? If we live to 100, will we look like that forever? Or will the men all look about 25 and the women 20? Here’s another question…eternity’s a long time, so will we have a lot of time on our hands to fill? Will there be “time” after time? Many years ago I was taught that God is outside of time and when we get to heaven, there will be no more time. I didn’t understand it but accepted it as fact. But now as I look more closely at scripture, it clearly says there WILL be time in heaven. Here we see people in heaven definitely referring to time, saying “how long.” They can see the tribulation going on on the earth, not having completed its full seven years of time. But what about the new heaven and earth? Will time stop? Clearly not! Here in the New Heaven and Earth we see time mentioned regarding those who did not Believe the Gospel. They’re in the “lake of fire that burns…,” which is a reference to time for people who have died. Every month! 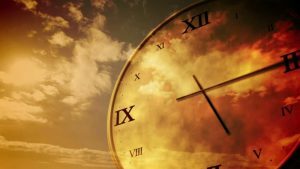 There won’t be a sun or moon to measure time like we do today, but there’s definitely time somehow being measured in the New Heaven and Earth. Einstein showed that time was a physical property that varies depending on mass, acceleration and gravity. Who knows if there’s any gravity in heaven or how fast we’ll be speeding through the universe. We measure and mark time with birthdays, marriages, events and such. And when you think about it, the only bad thing about time is that, after Adam’s sinful fall, time ultimately brings death. But in heaven, there is no death, so time will be on our side. So it’s a fact that time will be present in heaven. 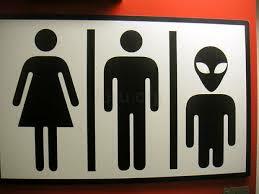 But what about restrooms? It’s always intrigued me that Jesus ate with His disciples after He was raised from the dead and in His resurrected body. Obviously He did this to show He was not a spirit, but rather He was truly resurrected with flesh and bone. Jesus proved to His disciples that His resurrected body had flesh and bone by eating fish. Apparently His resurrected body functioned similarly to His original body. But this eating food and drink raises another somewhat awkward but interesting question. If you eat food and drink wine, will you need to go to the restroom? Susie, my wonderful wife of almost 43 years, came to my rescue on this one. She, who has a physics minor, said she believes that our bodies will be so perfect, and the food and wine so perfect, that anything we consume will be perfectly absorbed and nothing will need to be eliminated. Whew! I’ll go with that. She makes a good point because we know our new bodies will be like Jesus’ resurrected body—flesh and bone—and absent of sin and decay. So when the Rapture whisks us into the sky, we’ll leave our wretched sinful bodies behind and they’ll be transformed into new containers for our individual spirits. Bodies that won’t age or get sick, but can walk through walls (John 20:19). That’ll be fun! Our earthly bodies are referred to as temporary tents and our new bodies are referred to as eternal houses. That’s quite the upgrade, with or without restrooms.